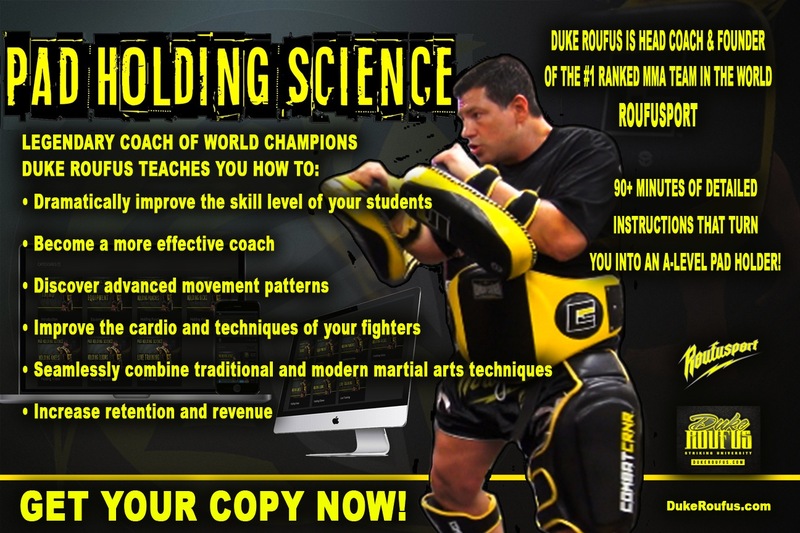 PAD HOLDING SCIENCE BY DUKE ROUFUS: GET ACCESS NOW! during this one-time only special 48 hour flash sale. The initial response to Duke Roufus and the DRSU team’s latest online product Pad Holding Science has been tremendous, with orders coming in from martial arts school owners, instructors, coaches, students, combat sports fighters, fitness coaches and law enforcement instructors. In addition to cities across the U.S and Canada, orders for Pad Holding Science have come from countries spanning the globe, including: Bulgaria, Mexico, Spain, France, Norway, Italy, Sweden, New Zealand, Australia, India, Singapore, United Kingdom, Brazil, Switzerland, Malaysia, Jersey (Channel Islands), Netherlands, Luxembourg, Bermuda, The Czech Republic, Japan and El Salvador. Duke and his talented team of coaches and fighters who participated in the making of Pad Holding Science are extremely proud to help raise the skill level and ability of anyone who holds pads in 20+ countries around the world! In addition to helping the many students, fighters and members of law enforcement who will also see great benefit in the long run as their coaches and instructors degree of pad holding proficiency increases. Duke, Roufusport’s Head Coach & Founder, pours a life’s worth of hands-on knowledge and experience into Pad Holding Science to help you become an A-Level Pad Holder! 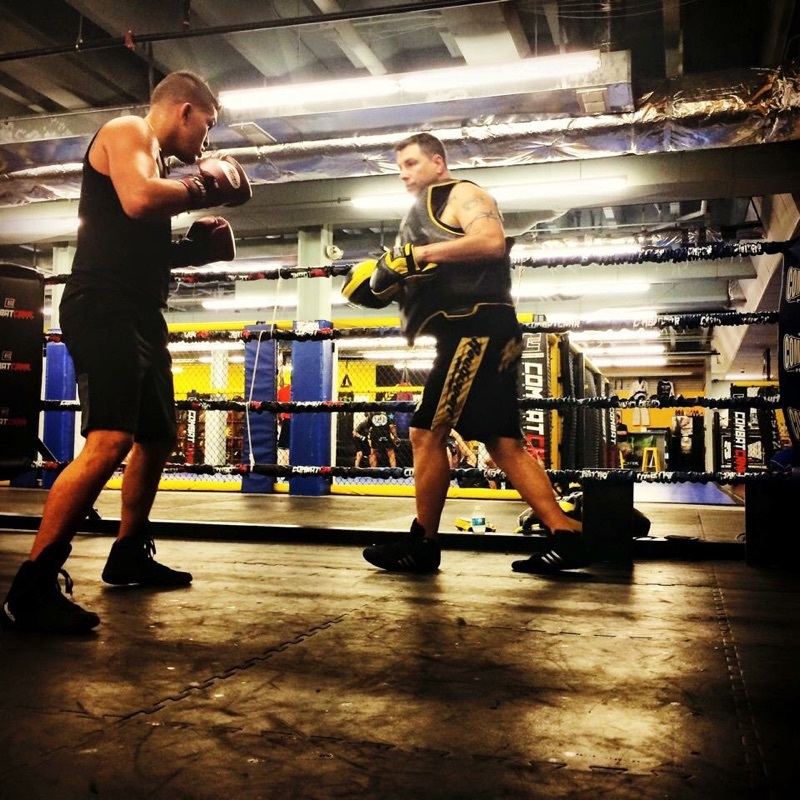 You know pad work is one of the most important aspects of stand up training. You also know that holding pads can get very routine. If fact, you may only be using techniques from your lineage. That’s great, and you likely want to expand your skill set while improving the performance of your students and training partners. This is why Duke developed Pad Holding Science. It’s very different than anything you’ve seen or used before. Why? Duke has one of the most diverse martial arts training backgrounds of any world-class coach. 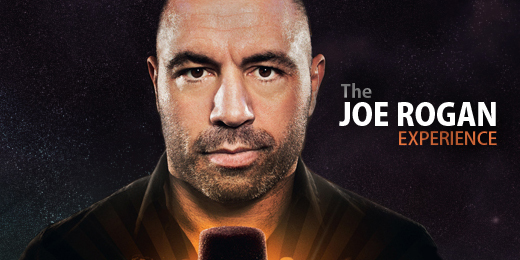 It’s this background, which earned him multiple world kickboxing titles and helped him coach multiple UFC world champions, that led to Roufusport being the #1 ranked MMA team in the world. Yes, Duke knows his stuff. Duke’s background is in Tae Kwon Do, Karate, Kickboxing, Muay Thai, Western, Cuban and Russian Boxing, in addition to Brazilian Jiu-Jitsu. Each striking system has specific techniques, which we’ve seen used in some of the most epic highlight reel knockouts and stoppages. THE CHALLENGE: The real challenge is streamlining the pad holding techniques of these arts into a simplified and easy-to-understand method. Duke is the only coach on Earth who can do this, and he’s giving it to you right now. ==> BONUS: Includes first month FREE Subscription to Duke Roufus Striking University (DRSU) valued at $27.00. With purchase of Pad Holding Science your DRSU subscription will continue at a special monthly rate of $17.00, YOU MAY CANCEL ANYTIME FOR ANY REASON, NO QUESTIONS ASKED. ==> Purchase includes LIFETIME ONLINE ACCESS to Pad Holding Science. Imagine going from a B-level pad holder to an A-level pad holder. This can mean the difference between winning and losing for your fighters, and your students improving at a faster rate. For many martial arts and fitness school owners this is the missing link that will absolutely upgrade your pad holding skill set 100%, make your training sessions safer, boost student retention, and help you become more in demand as a coach! ORDER PAD HOLDING SCIENCE TODAY!